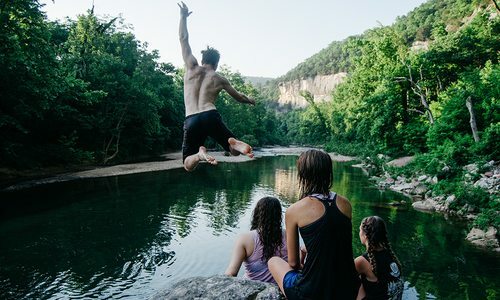 The mercury is starting to creep up, which means it’s time to gather the family, hit the road and make a splash at one of these gorgeous swimming holes within driving distance of 417-land. 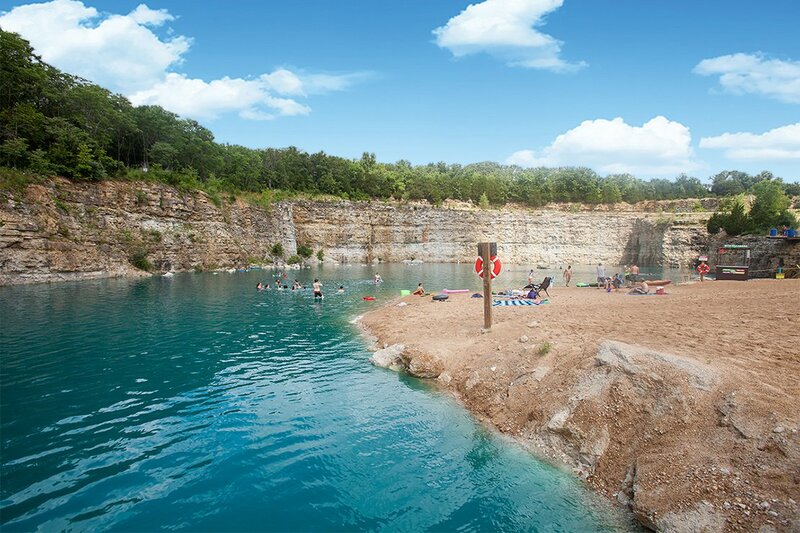 A quick cruise up I-44 brings you to the sandy shores of Fugitive Beach, a onetime quarry transformed into a spectacular swimming hole that’s open to the public beginning in May through a portion of September. 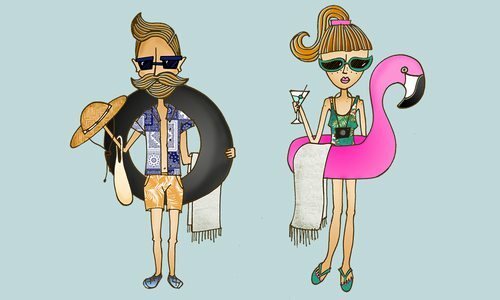 Adventurous visitors jump off cliffs or zoom down a waterslide into the pool of clear, sparkling water, which is 22 feet deep at its greatest depth, while chill-seekers play sand volleyball, relax in covered pavilions or simply sunbathe and enjoy the beachy scene. There’s also an on-site bar and grill. 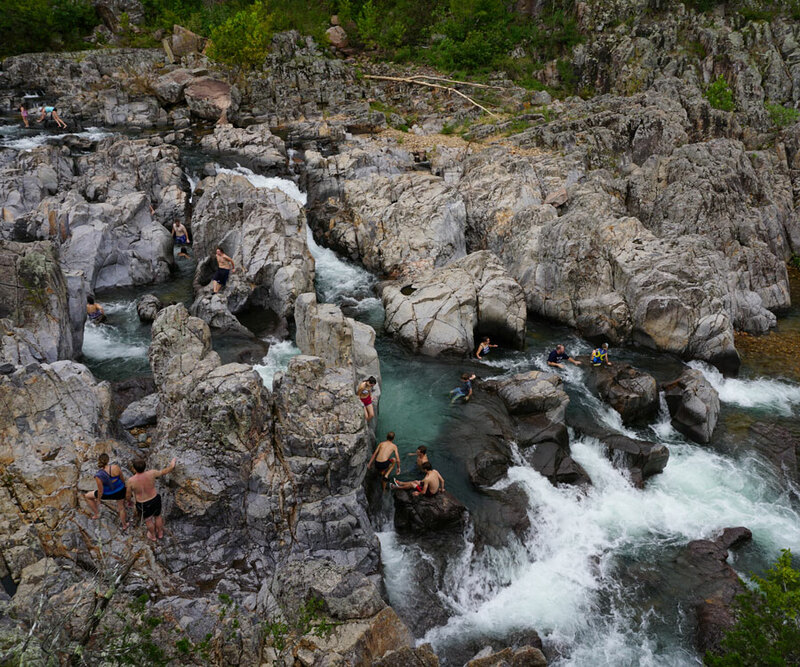 Splash around in the shut-ins nestled in the gorges of the East Fork of the Black River, which thanks to thousands of years of erosion is replete with waterfalls, chutes and pretty pools of varying sizes that beckon swimmers of all ages. There’s also a serene swimming hole that the river tumbles into at the base of the shut-ins. Bear in mind that the smooth rocks can be a little slippery, so keep an eye on your kiddos if you decide to make the trip a family outing. Officially established in 1908, Medicine Park, a charming resort town tucked in the Wichita Mountains, has hosted generations of Oklahomans seeking a respite from summertime temperatures. 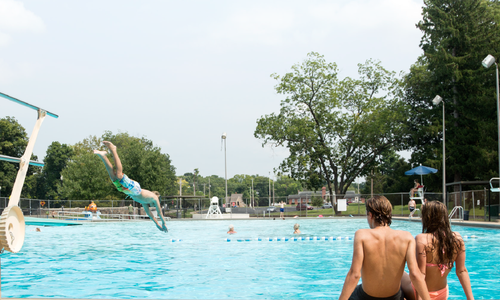 The centerpiece of the cobblestone community is Bath Lake, a placid, family-friendly swimming hole situated on a dammed section of Medicine Creek that’s open through Labor Day. Stroll across the creek on historic foot bridges, grab a snow cone from nearby concession stands, soak in some rays and take a dip in the refreshing waters. Deep in the Boston Mountains of Arkansas, Mountain Fork Creek cascades over a nearly 200-foot-long natural wall of rock that is so uniform that it resembles a man-made dam. Just upstream of that striking rock formation is a wide, relatively shallow pool that’s perfect for wading, splashing around and floating in the gentle water. Depending on the amount of rainfall in the days and weeks prior, the water either trickles or tumbles over the ledge, forming pretty falls and wading pools along the dam. One of Oklahoma’s largest waterfalls, 77-foot-tall Turner Falls tumbles down an impressive rock face, forming a lovely, brisk pool below where locals and tourists flock every summer to swim or simply to relax on the beach and admire the stunning, forested surroundings. 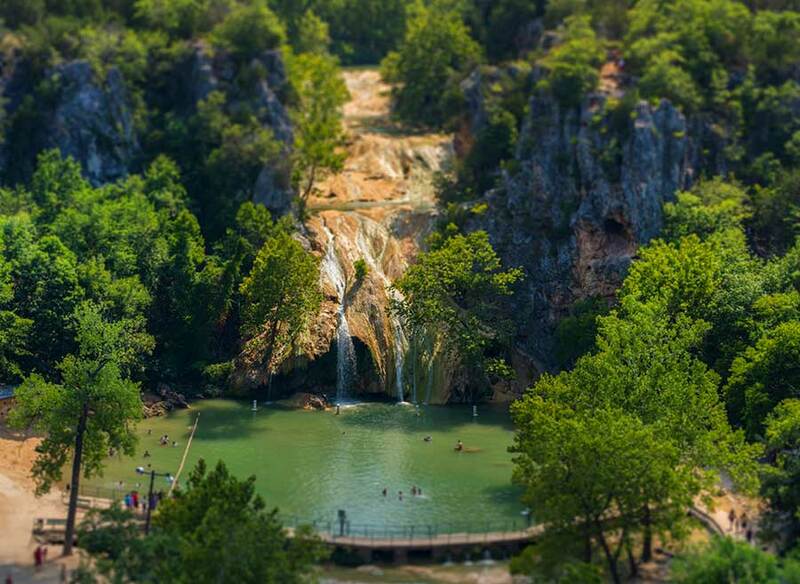 Turner Falls Park, nestled in the Arbuckle Mountains, is also home to hiking trails, cabins, campsites and the Blue Hole, a second natural swimming pool downstream of the waterfall with two water slides and a diving board. 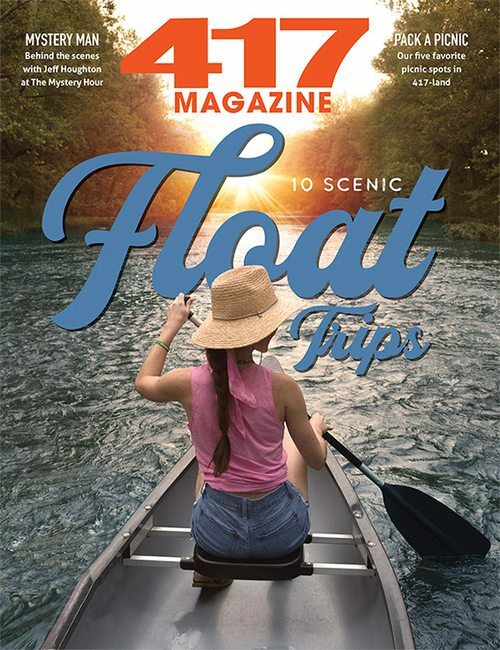 Explore the coolest places to swim the the great outdoors—that you can only find in Missouri and Arkansas.